Off to another country today … Ireland; I’m really excited. Another ferry ride and the start of a mini adventure within our adventure. 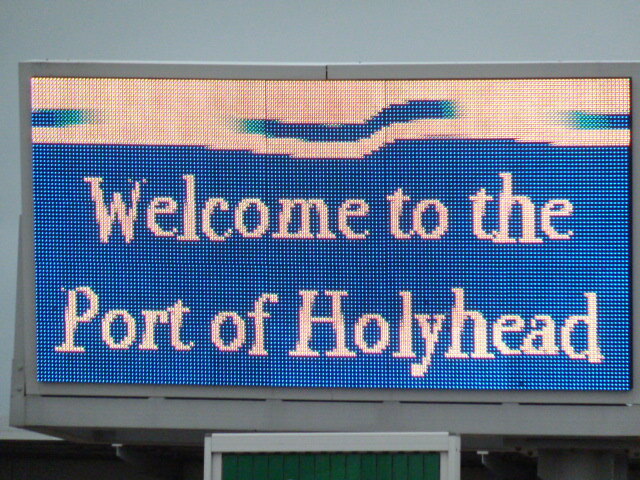 We started the day with cereal in the hostel and raced out the door to catch the Stena Line fast ferry from Holyhead Port to the Port of Dublin. We had a 8.20 boat and needed to be there an hour early. 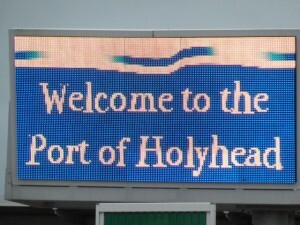 We arrived in plenty of time since Holyhead is very small to get around and very little traffic to negotiate. We got our tickets and put our tag on the mirror and lined up in row 5. We didn’t have to wait long before we drove onto the ferry. Once we got all our belongings that we wanted for the journey we headed up to the lounge deck. The lounges are well equipped with comfortable seating and refreshments. The kids even got to watch a movie that was put on especially for children and then towards the end of the journey they got to watch a magic show in the playroom. I made good use of the free wifi onboard. We arrived in Dublin and found a spot on the map so the GPS could guide us – St Stephen’s Green in the city. 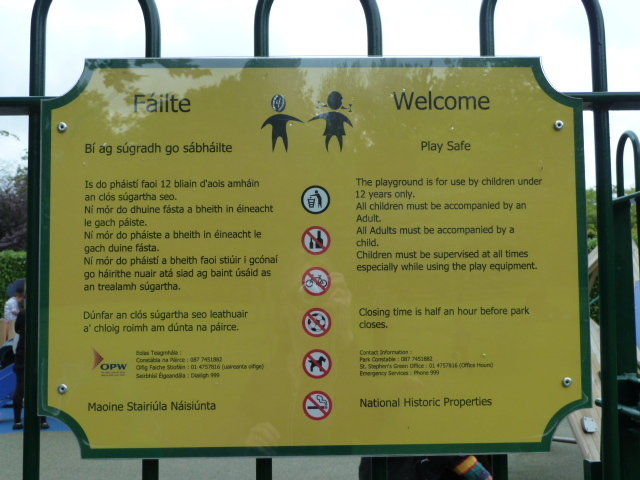 It wasn’t hard to find a car park so before we knew it we were wondering around Dublin. Dublin city has a lovely feel to it. There are no highrise buildings, which is nice and it has a pedestrian shopping streets and gardens to enjoy. 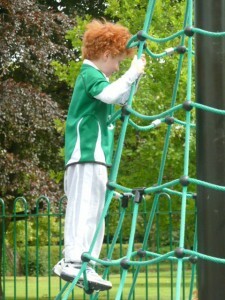 St Stephen’s Green was a great park for having lunch and we found the kids’ playground; a good find indeed. 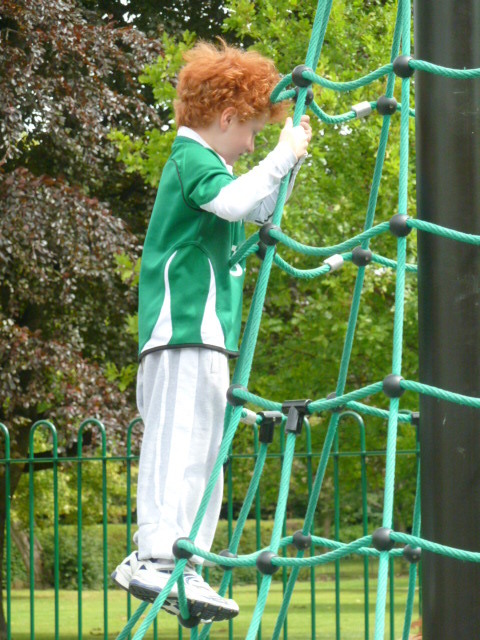 Check out this little Irish boy with the red hair – I couldn’t help but take a photo of him with the hair and the green shirt! 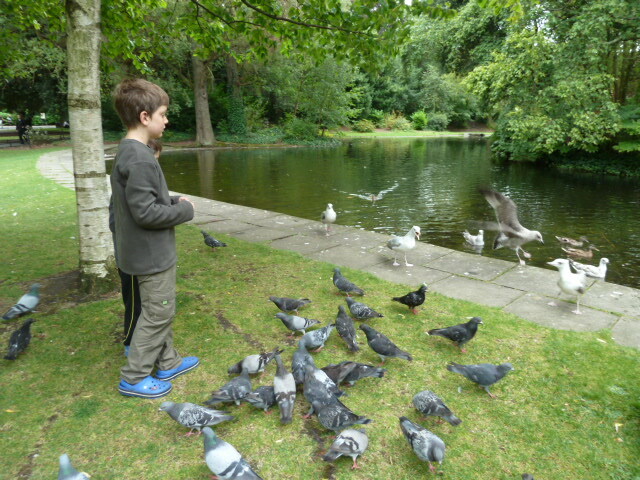 Harris enjoyed feeding the birds the leftover Irish brown bread we had for lunch they nobody particularly liked but me! 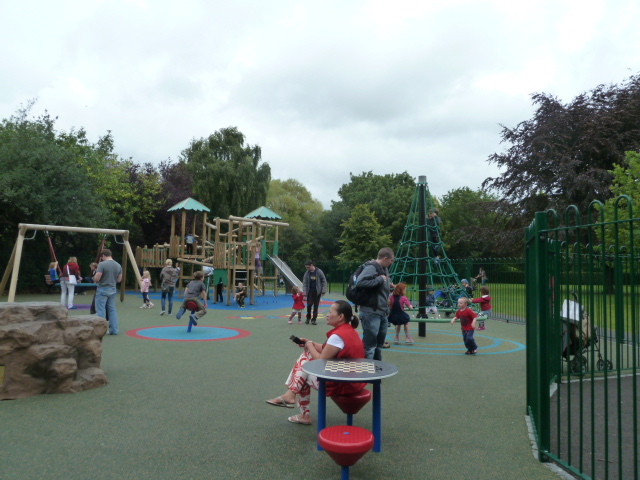 After hanging out in the park, we returned to the shopping street and walked around for awhile. 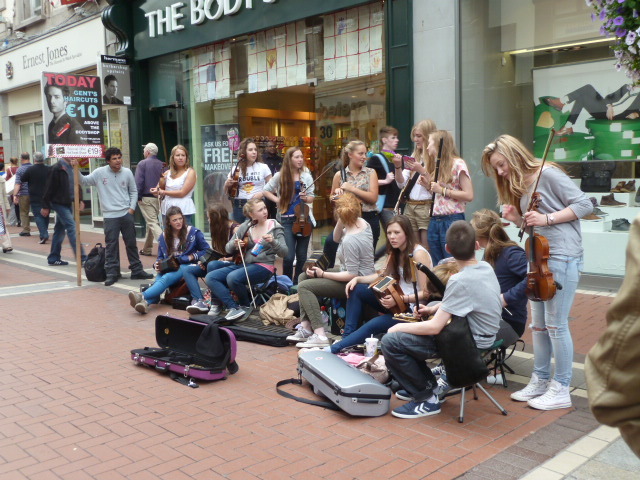 We came across a group of Irish teenagers playing Irish tunes. They were quite entertaining, although the tune repeated itself over and over again! It was time to head to our hostel so we plugged the address into Gerry our GPS. 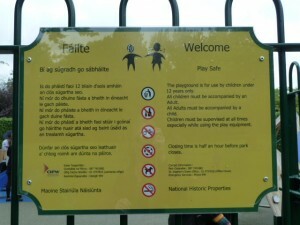 Dublin YHA is huge and not so easy to navigate; particularly with children. Lots of stairs, corridors and just plain big. We had a room to ourselves but the toilets and showers were down two flights of stairs. The kitchen was on the opposite side of the building and not very well equipped at all. I was glad we had our own supply of kitchenware so I could cook. Two young German men helped open my tins of tuna since the only can opener was this huge bench contraption. It was funny watching them cook as the penne pasta and whole eggs were boiling away in the same pot! 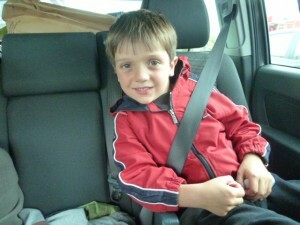 We ate our simple noodle, vegie, tuna dinner and went for a stroll around the area. It wasn’t the most interesting of areas but we do now know where the 150 year old Mater Hospital is and all the surrounding medical experts; just in case we have an issue! Back at the hostel it was showers and bed. I had a late night on the computer madly trying to use the wifi to book more stuff. It’s a constant task to research and book where we are going and what we are going to do. Kept me going until after midnight and then my brain kept on working until after 1 am!